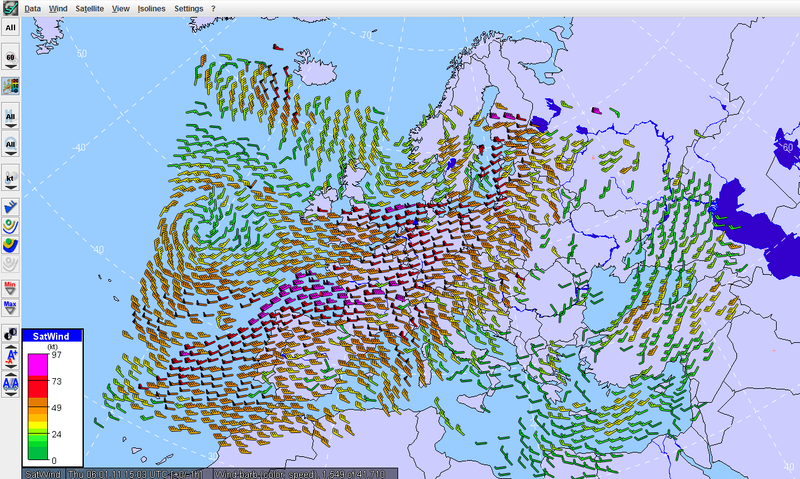 The SatWind Layer is a point data layer and can display computed wind data from satellite images. The layer displays high resolution wind data as well as scatterometer winds. The software package developed by SAFNWC (Nowcasting Satellite Application Facilities) allows calculating up to twelve different main products including wind vectors based on successive sequences of the high resolution broadband channel in the visible range (HRV channel, 600-900nm). 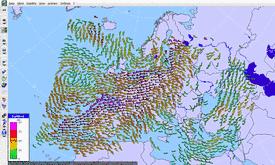 Data is available throughout the day for Europe, North Africa and the adjoining seas.